We identified 10 different DDoS attacks targeting two Vietnamese websites protected by Deflect, viettan.org and baotiengdan.com, between the 17th of April and 15th of June 2018. These attacks happened in the context of an important lack of Internet Freedom in Vietnam with regular online attacks against activists and independent media. We sorted these attacks in four different groups sharing the same Tactics, Techniques, and Procedures (TTPs). Group A is comprised of 6 different attacks, against both viettan.org and baotiengdan.com, which tend to show that these two websites have common enemies even if they have different political perspectives. We found common IPs between this group and a DDoS attack analyzed by Qurium in June 2018 against Vietnamese independent media websites luatkhoa.org and thevietnamese.org. Having four different Vietnamese civil society websites targeted by DDoS in the same period supports the hypothesis that these attacks are part of a coordinated action to silence NGOs and independent media in Vietnam. For each of the attacks covered in this report, we have investigated their origin and the systems used as relays. This blog post is the first in a series called “News from Deflect” intended to describe attacks on Deflect protected websites, with the objective of continuing discussions about distributed denial of service (DDoS) attacks against civil society. Deflect is a free DDoS mitigation service for civil society organizations (see our Terms of Service to understand who fits into this description). Our platform is filtering traffic between users and civil society websites to remove malicious requests, in this case, bots trying to overload systems in order to make the website unavailable and silence political groups or independent media. We have been protecting two Vietnamese websites, viettan.org and baotiengdan.com on the Deflect platform. Việt Tân is an organization seeking to establish democracy through political reforms in Vietnam. Tiếng Dân is an independent online non-partisan media covering political news in Vietnam. 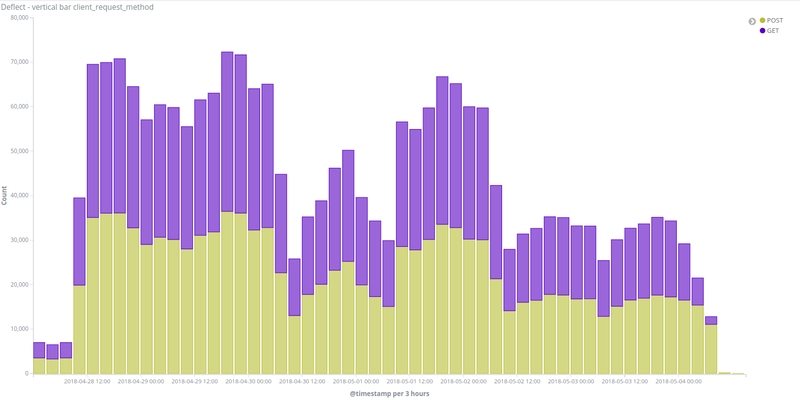 Over the past several months, we have seen a significant increase of DDoS attacks against these two websites. Although Việt Tân and Tiếng Dân websites and organizations are not related to each other by any means and have different political perspectives, our investigations uncovered several attacks targeting them simultaneously. It appeared to us that these attacks are driven by a coordinated campaign and sought the websites’ agreement to publish an overview of the discovered activities. For a more than a decade, there has been proof of online attacks against Vietnamese civil society. The earliest attacks we know focused on silencing websites either with DDoS attacks, like the attacks against the Bauxite Vietnam website in December 2009 and January 2010 or against Việt Tân in August 2011, or by compromising their platforms, as witnessed with Anh Ba Sam in 2013. In 2013, the discovery by Citizen Lab of FinFisher servers installed in Vietnam indicated malware operations against activists and journalists. In March 2013, the managing editor of baotiengdan.com, Thu Ngoc Dinh, at that time managing editor of Anh Ba Sam, had her computer compromised and her personal pictures published online. Later that year, the Electronic Frontier Foundation documented a targeted malware operation against Vietnamese activists and journalists. This attack is now attributed to a group called OceanLotus (or APT32) that is considered to be Vietnam-based. Recently, an attack targeting more than 80 websites of civil society organizations (Human rights, independent media, individual bloggers, religious groups) was uncovered by Volexity in November 2017 and attributed to this same Ocean Lotus group. At the same time, there is a strong suppression of independent media in Vietnam. Several articles in the Vietnamese constitution criminalize online publications opposing the Socialist Republic of Vietnam. They have been used regularly to threaten and condemn activists, like the blogger Nguyen Ngoc Nhu Quynh, alias ‘Mother Mushroom’ who was sentenced to 10 years in jail for distorting government policies and defaming the communist regime in Facebook posts in June 2017. Recently, Vietnamese legislators approved a cyber-security law requiring large IT companies like Facebook or Google to store locally personal data on users in Vietnam. This law has seen strong opposition by street protests and by human rights groups like Human Rights Watch and Amnesty International. Vietnam is ranked 175th over 180 countries by Reporters without Border’s 2018 World Press Freedom Index and has a Freedom of the Net score of 75/100 in the Freedom of the Net report in 2017 by Freedom House. These attacks were all HTTP flood attacks but came from different sources and with different characteristics (user agents, path requested etc.). From the beginning of the analysis, we saw some similarities between the different attacks, mainly through the user agents used by different bots, or the path requested. We quickly wanted to identify groups of attacks sharing the same Tactics, Techniques and Procedures (TTP). From this table, we can see that Incidents 8 and 10 clearly use the same tool identified by the user agent (python-requests/2.9.1) and do the same specific query /?&s=nguyenphutrong based on the name of Nguyễn Phú Trọng, the current General Secretary of the Communist Party of Vietnam. 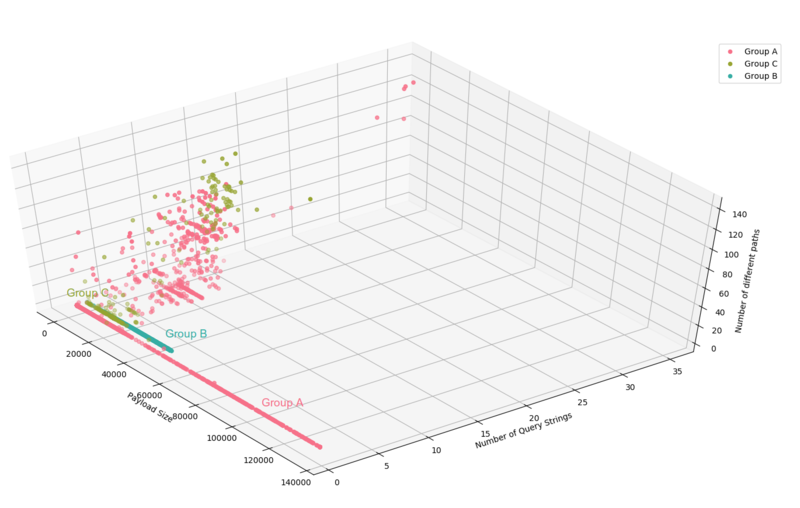 We gathered these two attacks in Group C.
Incidents 3 and 9 have different characteristics from other incidents, they seem to use two different custom-made tools for DDoS. We separated them into two different groups, B and D (see details in part 2). We still have 6 different attacks that share common characteristics but not enough to confirm any linkages between them. They all query / without any query string, which is quite common in DDoS attacks. They use random User-Agents for each IP address, which is close to what legitimate traffic looks like. 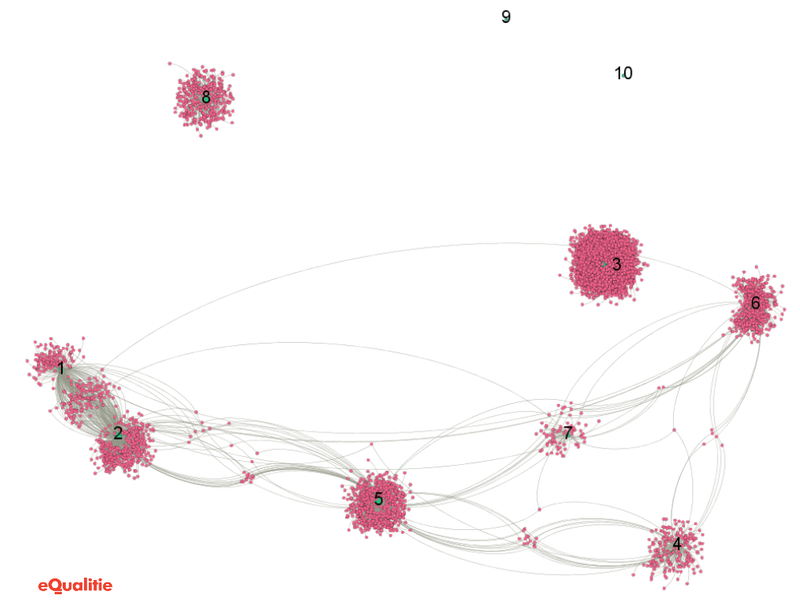 There is a strong overlap of bots used in Incidents 1 and 2 (53%), which is telling considering that Incident 1 is targeting viettan.org and incident 2 is targeting baotiengdan.com. 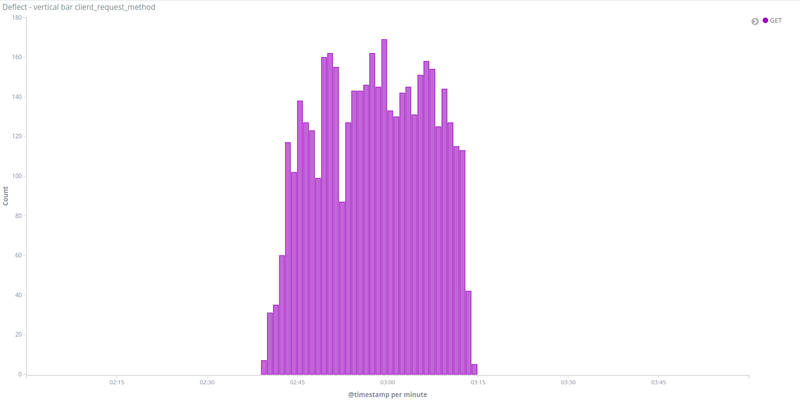 Its is a strong indication that a similar botnet was used to attack these two domains, particularly as the attacks were orchestrated at the same on April 17th. 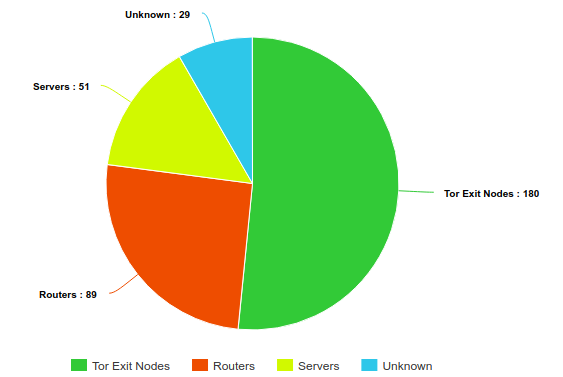 Other attacks all share between 1 and 22 IP addresses in common (<10%) which is a quite small percentage of intersection and may have different explanations. For instance, the same system is compromised by several different malware turning them into bots, or that different compromised systems are behind the same public IP. Another link to consider is if these IPs used for different attacks are from the same countries. If we consider a botnet that would use specific ways to infect end systems, it is likely that they would be unevenly distributed over the world. For instance a phishing attack in one language would be more efficient in a country speaking this language, or an Internet wide scan for vulnerable routers would compromise more devices in countries using the targeted router. 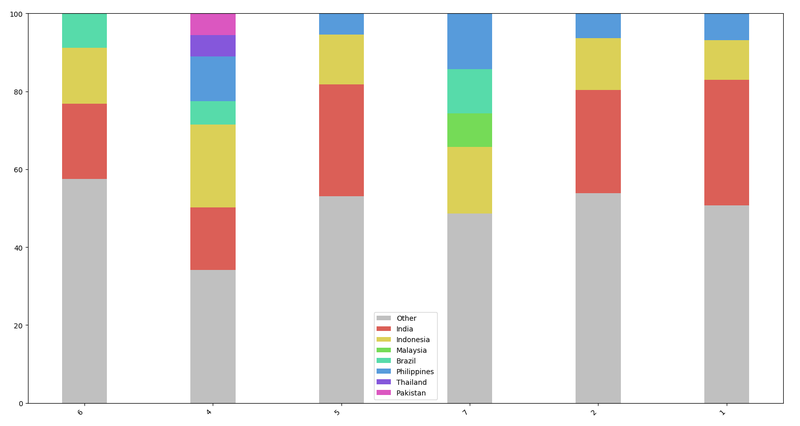 Figure 3: Country of origin of IPs used in attacks 1, 2, 4, 5, 6 and 7. Besides Incident 7, these attacks clearly share the same profile : between 15 and 30% of IPs are from India, between 5 and 10% from Indonesia, then Philippines or Malaysia. Surprisingly, the 7th incident has only one IP coming from India (categorised as Other in this graph) but has a similar distribution in other countries. So the distribution seems quite similar. Between 42 and 81% of user-agents are shared between every set of two incidents. Low intersections between two incidents could be due either to different versions of the same tool used in different attacks, or to interference with legitimate traffic. Group A : TTPs for this group seem to be quite generic and we have only a moderate confidence that the attacks are linked. 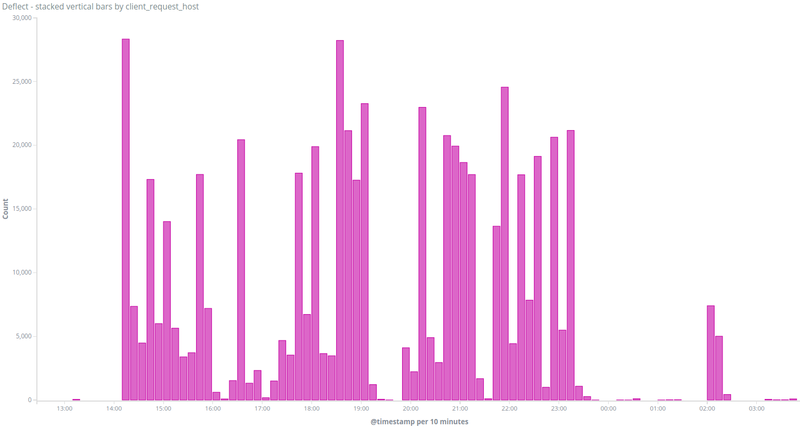 All these attacks are querying/ (which is pretty common) with on user agent per IP (regularly an empty user agent). The IPs from these groups are coming from Asia, mostly India, Indonesia, Philippines or Malaysia. Attacks in this group are often reusing the same user-agents which could indicate several versions of the same payload. Group A attacks were definitely the most frequent case we saw since April, with six different attacks done on both Việt Tân and Tiếng Dân’s websites. We identified as bots all the IPs displaying an unusual number of queries to “/” (more than 90% of their traffic), and ended up with a list of 217 IPs targeting viettan.org and 725 IPs targeting baotiengdan.com, with 14 in common between both incidents. This set of IPs is then mostly coming from personal Internet access networks around the world, either from compromised routers or compromised end-devices. For a long time, most botnets were comprised of compromised Windows systems infected through worms, phishing or backdoored applications. Since 2016 and the appearance of the Mirai botnet it is clear that Internet-Of-Things botnets are becoming more and more common and we are are seeing compromised routers or compromised digital cameras being used for DDoS attacks regularly. The main difference between these two cases, is that IoT systems are reachable from the Internet and often compromised through open ports. To differentiate these two cases, we used data from the Shodan database. Shodan is a platform doing regular scans of all IPv4 addresses, looking for specific ports (most of them specific to IoT devices) and storing the results in a database that you can query through their search engine or through their API. We have implemented a script querying the Shodan API and using signatures over the results to fingerprint systems running on the IP address. For instance MikroTik routers often expose either a telnet, SNMP or web server showing the brand of the router. Our script downloads data from Shodan for an IP, and checks if there are matches on different signatures from MikroTik routers. Shodan allows to get historical data for these scans, so we included data for the past 6 months for each IP in order to maximize information to fingerprint the system. There are definitely limitations to this approach as a MikroTik router could be secure but routing traffic from a compromised end-system. 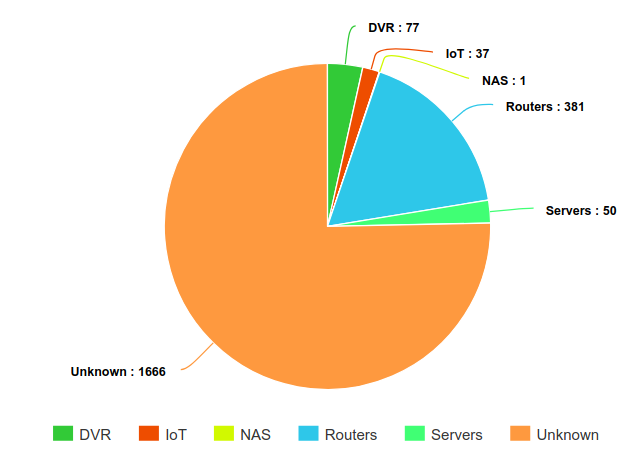 But our hypothesis is that we would identify similar routers or IoT systems for a large part of IP address in the case of an IoT botnet. By running this script over 2212 IP addresses for the group A, we identified 381 routers, 77 Digital Video Recorders and 50 routers over 2212 IPs. 1666 of them did not have any open port according to Shodan, which tends to show that they were not servers but rather professional or personal Internet access points. So in the end, our main hypothesis is that these IPs are mostly compromised end-systems (most likely Windows systems). Regarding location, we used MaxMind Free GeoIP database to identify the source country, and found that 50% of the IPs are located in India, Indonesia, Brazil, Philippines, and Pakistan. It is interesting to see Mikrotik routers here as many people observed botnets compromising MikroTik routers back in March this year exploiting some known vulnerabilities. 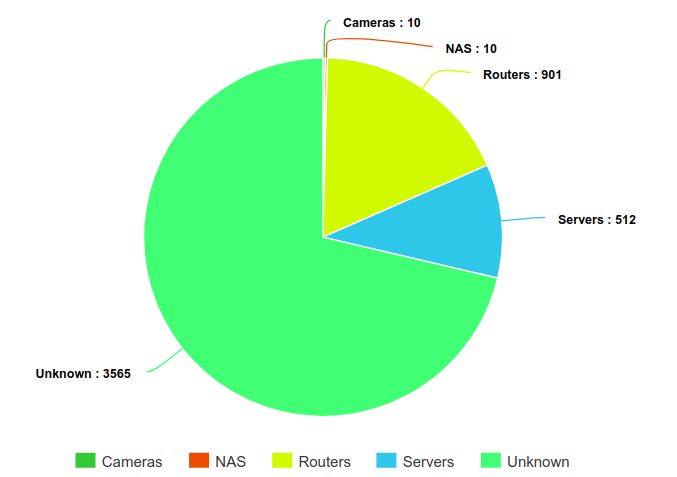 But still, having 884 MikroTik routers only represent 17.6% of the total number of IPs involved in this attack. Our main hypothesis is that this botnet is mostly comprised of compromised end-systems (Windows or Android likely). It is also possible that we have here a botnet using a mix of compromised end-systems and compromised MikroTik routers. 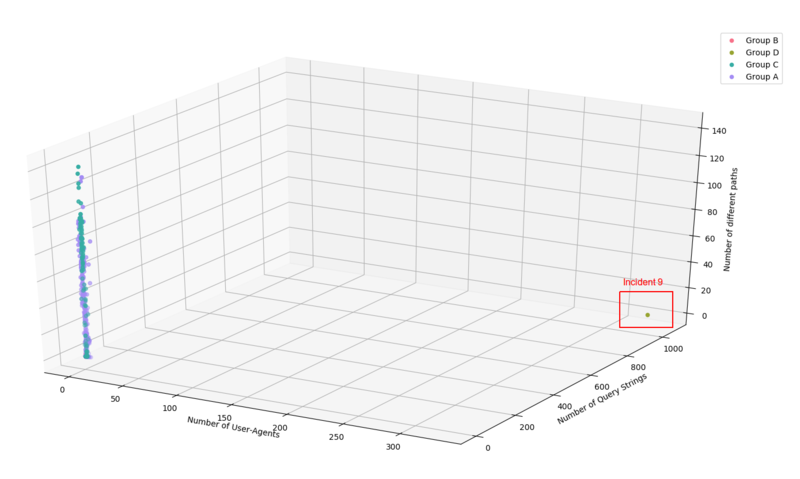 The most surprising specificity of this botnet is that it is coming almost only from one Autonomous System, AS4134, which is not common in DDoS attacks (most of the times targets are distributed over different countries). A third hypothesis is that this traffic could come from traffic injection by the Internet Service Provider in order to cause clients to do requests to this website. Such attack was already identified once by Citizen Lab in 2015 in their China’s Great Cannon report against github.com and GreatFire.org. We consider this third hypothesis unlikely as this 2015 attack is the only documented case of such an attack, and it would require a collaboration between Vietnamese groups likely at the origin of these attacks and this Chinee state-owned Internet provider, for a costly attack with little to no impact on the targeted website. 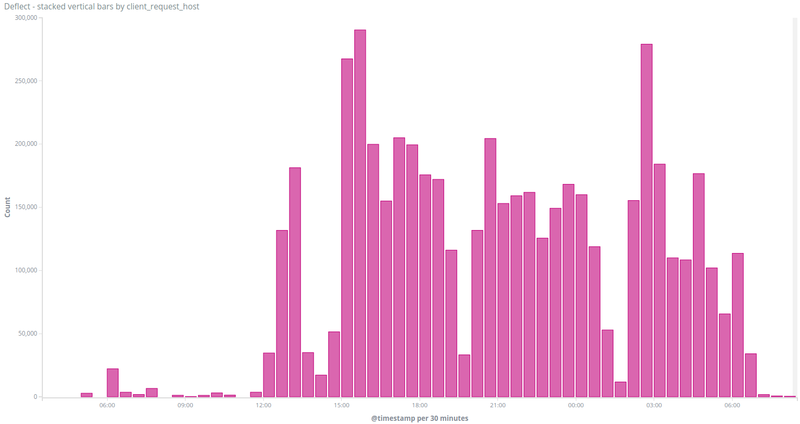 Over 5 million requests were done that day by 349 IP addresses. In order to bypass the caching done by Deflect, the bots were configured to query the search page, half of them with the same query /?&s=nguyenphutrong, which is a research for the name of Nguyen Phú Trọng , the actual General Secretary of the Communist Party of Vietnam. 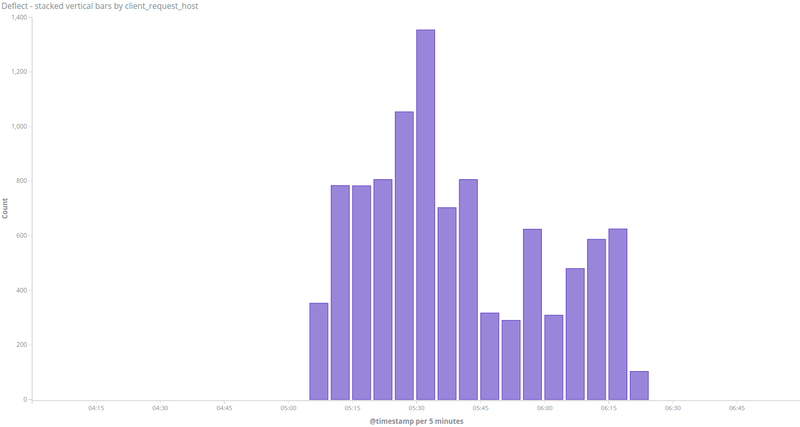 The other half of bots were doing random search queries like ?s=046GYH or ?s=04B9BV. So this attack used two different types of relays at the same time: the Tor network and compromised systems, routers or servers. This traffic was definitely coming from the same attack group as it was using the same user agent (python-requests/2.9.1) and requesting the same page /?s=nguyenphutrong. The IP 66.70.255.195 is an open HTTP proxy located in the OVH network in Montreal, and listed in different proxy databases (like proxydb or proxyservers). It is surprising to see an HTTP proxy used here considering the heavy attack done 5 days before by the same group. Using an open HTTP proxy definitely brings anonymity to the attack but it also limits the bandwidth for the attack to the proxy bandwidth (in that case 5000 requests per minutes at its maximum). Our hypothesis is that a group of people with different skills and resources are sharing the same tool to target baotiengdan.com. It is also possible that one person or one group is trying different attacks to see what is the most effective. Using a random user agent from a list of 329 user agents values. These are pretty clear characteristics that we have not seen in other attacks before. This IP address belongs to the AS 45899 managed by the state-owned Vietnam Posts and Telecommunications Group company. It seems to be a standard domestic or business Internet access in Haiphong, Vietnam. Considering the low level of the attack, it is completely possible that it came from an individual from their personal or professional Internet access. On the 10th of July, Qurium published a report about DDoS attacks against two vietnamese websites : luatkhoa.org and thevietnamese.org on the 11th of June 2018. Luật Khoa tạp chí is an online media covering legal topics and human rights in Vietnamese. The Vietnamese is an independent online magazine in Vietnam aiming at raising public awareness on the human rights situation and politics in Vietnam among the international community. Qurium was able to confirm with us lists of IPs responsible for most traffic during this DDoS attack and we found that 4 of these IPs were also used in the incidents 1, 5, 6 and 7, all parts of the Group A. As described before, it is hard to attribute these attacks to the same group, but they definitely share some similar TTPs. Seeing DDoS attacks with similar TTPs used during the same period of time to target 4 different political groups or independent media’s websites definitely confirms the coordinated nature of these attacks, and their particular interest in attacking Vietnamese media and civil society groups. Overall, these attacks created limited downtime on the targeted websites, and when it happened, we worked in collaboration with Viettan and Tieng Dan to mitigate them as soon as possible. On a technical level, HTTP flood is still commonly used for DDoS and is still quite effective for websites without filtering solutions. Investigating the origin of these attack is an ongoing mission for us and we are constantly looking for new ways to understand and classify them better. We would like to thank Việt Tân and Tiếng Dân for their help and collaboration during this investigation. Thanks to ipinfo.io for their support. It is common to publicly share Indicators of Compromise (IOCs) in attack reports. Sharing IOCs related to DDoS attacks is more challenging as these attacks are often done through relays (whether proxies or compromised systems), so sharing lists of IP addresses can have side-effects over victims we cannot control. We have thus decided not to share IOCs publicly but we are open to share them privately with organizations or individuals who could be targeted by the same groups. Please contact us at outreach AT equalit.ie. As described earlier in this report, we have developed a script to fingerprint systems based on Shodan data. This script is published on github and released under MIT license. Feel free to open issues or submit Pull Requests.